This post is long long long overdue, but needless to say I am back to the blog and back to all of you. I have many things to post about and share with you, including our wedding! But for right now I’m keeping it simple and dipping my toes back into the blogging pool with a quick and simple post. 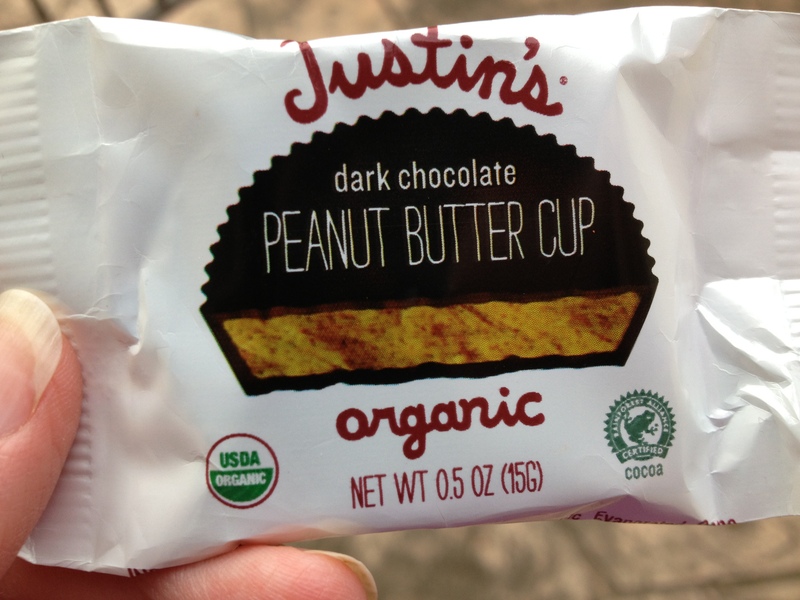 This sweet treat was a welcome reward from my inspirational yoga teacher after a challenging Power class. Pure deliciousness that completely hit the spot after a good, sweaty yoga session. Expect more yoga related posts to show up here in the near future as it is a newish and much loved development in my life. It’s blue-skied, breezy, and sunny here today, the kind of day that is perfect for a long walk or a bike ride. We have tickets to a sold David Sedaris show in Napa tonight, which means Devin will be home early from work and I need to scour the internet for a veg friendly dinner option. I have an ever growing to-do list of wedding planning, arranging, and coordinating to take care of on my rare weekday off from work. But this morning I found myself shunning my nagging list of tasks in favor of: a long overdue blog post, some quality kitty-in-lap time, and blueberry pancakes. I think I made the right choice. These are my go to pancakes and they truly are super in just about every sense of the word. They are easy to make, filled with healthful ingredients (like hemp and flax seeds), and they taste amazing. 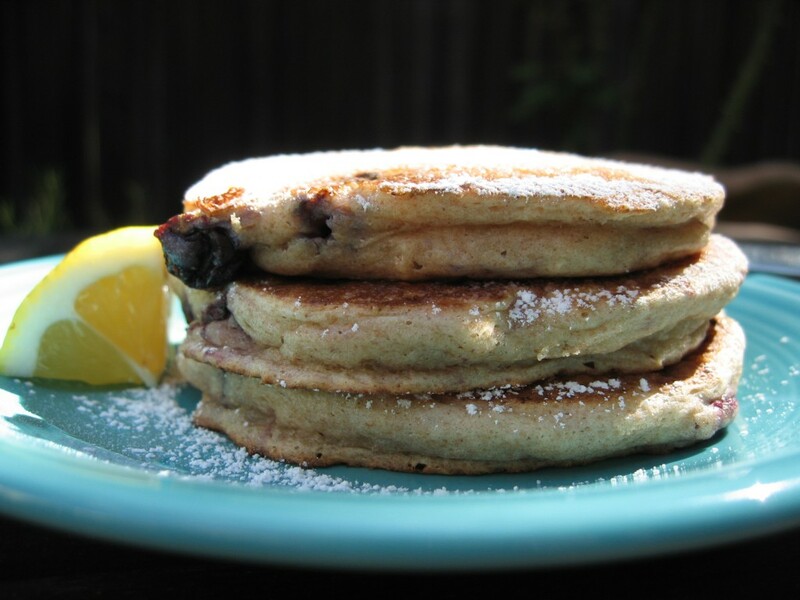 They are easily adaptable, too, as I have often switched up the flour from whole wheat to spelt, swapped out the canola for coconut oil, and even subbed blackberries or cherries for the blueberries. Today I even forgot to add the cinnamon, and upped the almond extract to a full teaspoon. One change I never make though, is how I serve them. I find I enjoy them most when topped with a light dusting of powdered sugar and a squeeze of lemon juice. The lemon really brightens up the blueberries, and the powdered sugar adds just enough sweetness without sending you into sugar shock. Devin, however, likes his served with ginger syrup, so if you try them out, that’s another option. I only wish I had come up with the recipe myself. Do you like blueberry pancakes? Is it sunny where you are? All images, recipes, and content copyright sweet and savory vegan unless otherwise noted.